In 1969, Douglas M. Lawson founded Lawson Associates, Inc. and began creating a team of professionals experienced in the philanthropic art of fund raising. Lawson Associates, Inc. was built on these philanthropic efforts that inspired Douglas Lawson over four decades ago, and still continues to effectively serve institutions throughout the world, including major educational, cultural, health, religious, civic, environmental, urban, historical, scientific, and international organizations. With four decades of experience and currently with corporate offices in New York, Washington D.C., Dallas and Nashville, Lawson Associates, Inc. continues the corporate commitment to provide each client institution with customized assistance to reach realistic fund raising goals. Dr. Douglas M. Lawson is the author of the award-winning bestseller GIVE TO LIVE: How Giving Can Change Your Life (Alti Publishing, 1991) currently in its sixth printing and in numerous foreign language editions: including Spanish, Italian, Korean and German, and MORE GIVE TO LIVE: How Giving Can Change Your Life (Alti Publishing, 1999). He has authored Volunteering: 101 Ways You Can Improve The World And Your Life (Alti Publishing, 1998), and Faith In The Future (Templeton Foundation Press, 2004). He has written numerous articles for such national publications as Fund Raising Management, U.S. Air, Southern Bride, and Servant Leadership. He has been the publisher of the monthly newsletter; Philanthropic Trends Digest, and eight editions of The Foundation 500. Dr. Lawson has produced numerous audio and videotapes, including, The Artful Asker, Give to Live, and A Basic Fund-Raiser Course. Dr. Lawson holds three academic degrees: a B.A. from Randolph Macon College, a B.D. from Drew University, and a Ph.D. from Duke University. He is a member of three honorary fraternities: Phi Beta Kappa, Omicron Delta Kappa and Pi Gamma Mu. He is a member of the board of directors of Fleetwood Enterprises, a New York Stock Exchange corporation, and he is on the advisory board of the Yale Divinity School. He has served as a member of the Charitable Giving Task Force of the Million Dollar Round Table and on the Board of the Joffrey Ballet and Houston Junior Achievement. In his professional life, Dr. Lawson serves as the founding chairman of Lawson Associates, Inc., a fund-raising and management consulting firm which, to date, has served more than one thousand clients throughout the world and assisted clients in raising more than $2 billion. Dr. Lawson is a frequent speaker and lecturer throughout the United States, Mexico, and Canada. Pam Carpenter has 11 years of experience in non-profit fundraising and campaign management. Her areas of expertise include grant writing and donor stewardship, sales & marketing, event design, budget management and volunteer coordination. Most recently, Pam served as the Corporate Development Manager at the Dallas Arboretum & Botanical Garden fundraising in support of a $10 million annual operating budget, various exhibits, children's education programs, events and horticulture festivals. She is a strong and inspiration leader with a successful track record in exceeding financial goals and customer donor satisfaction. Pam has past served as an Executive Director, member of the Texas State Board and the Dallas Board of Directors with the Dallas Junior Forum, Inc. She also served as the Vice President of Ways & Means for the organization and managed fundraising efforts resulting in annual grants to many underserved Dallas, Texas charities. She continues to be a passionate and active member and volunteers regularly to support the organization's mission to assist women, children and families in need. Pam is a native Texan and attended Southern Methodist University and Richland College in Dallas, Texas with a focus on Liberal Arts. She resides in Frisco, Texas with her husband Steve. Ben Casey, president of Philanthropic Horizons, has over 45 years of experience in not for profit organization management and fund raising campaigns. He served as a YMCA professional for 35 years. His career started at the San Diego YMCA in 1966. He was soon promoted to be the Executive Director of the North Sacramento YMCA (1969). He rose up the YMCA chain of command: Vice President San Francisco YMCA (1972); President of New Orleans YMCA (1979); Southern YMCA USA Director for the YMCA of the USA (1984) ­ responsible for 867 YMCAs in the 11 southern states; President and CEO of YMCA of Greater Dallas (1987- 2001). He also served as Vice Chairman of the World Alliance of YMCAs as the coordinator of the 50 largest Urban YMCAs in the World (1996-2000). 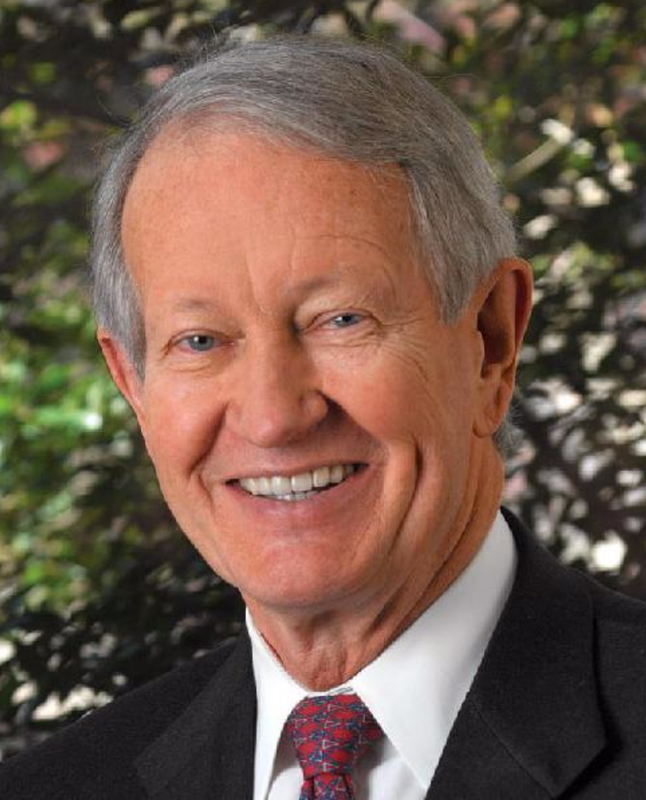 He was President of the Presbyterian Healthcare Foundation to provide philanthropic support for the 5 not-for-profit Presbyterian Hospitals and Texas Health Resources (2001-2009). Ben has been responsible for philanthropic campaigns that have raised over $300 million ($45.1 million in annual support; $196.9 in capital gifts and $58 million in endowment funds). He has been blessed to represent the dreams, vision, mission and positive values of great organizations with generous community leaders, philanthropist, corporations and foundations. Mr. Casey has been very active in the communities where he and his wife of 40 years have resided. Currently he is past president of the 100 year old Rotary Club of Dallas; secretary and past president of the City of Dallas Texas Horse Park; Vice Chairman of the City of Highland Village, Parks and Recreation Board; Chairman of the Dallas George Washington Society; member of the Dallas YMCA Century 2 Advisory Committee, Chairman of the Dallas Rotary Club Foundation, and board member of the North Texas Volunteer Center. His past involvement includes among many other activities -Chairman of the Texas Literacy Council; Keynote Speaker at the 2001 White House Conference on American Teenagers; Chairman of the Dallas National Day of Prayer Breakfast in 1999 and 2000; Chairman of Dallas Rotary Foundation; Chairman of the North Texas Red Ribbon (Say No to Drugs) Campaign and Chairman of the Dallas Mayor’s Summer Youth Employment Campaign. Ben Casey has a B.S.in Psychology from UCLA; M.A. in Clinical Counseling from Chapman College and Doctorial work in Macro Economics at San Diego State University. He is a member of the Trietsch United Methodist Church in Flower Mound, Texas. He has been married for 36 years to Sue Malone Casey, a world class equestrienne competitor, trainer and judge in the Olympic sport of Dressage. He is a native Texan who grew up around the world as his father served as an engineer with the Voice of America. Raymond Craig as a Lawson Associate brings 25 years experience in the non-profit arena as a fundraiser with such organizations as the Haggai Institute in Atlanta. He has also held executive non-profit leadership roles in the Carolinas, Georgia and Florida. Since 2002, he has raised funds for the developing world. He has traveled in over 30 countries and is serving Lawson clients as an International Specialist. long-dormant until his professional career in fundraising began with a capital campaign for a church in Greenville, South Carolina. He oversaw a successful effort from start to finish, concluding that sacrificial giving helps bring about significant life change to the giver. He is active in his local church in Charlotte, North Carolina teaching occasionally. He also presents to numerous civic, religious and non-profit groups when invited to do so. Craig graduated from Clemson University with a B.A. in history. He received his ministry training at RTS ­ Orlando and earned a doctorate at RTS ­ Charlotte, writing a dissertation on using conflict constructively. Steve Duffy, a native of Philadelphia, Pennsylvania has lived in New Mexico for over 23 years. Steve is a grant writer, fundraiser and event planner, and has worked with a myriad of non-profit organizations over his vast consultancy career. To date, Steve’s clients have received over $79 million in grant awards. In the fields of specialized transportation, programs for at-risk youth, veterans, victims of domestic violence, homelessness, historic preservation, performing arts or animal welfare, Steve is committed to assisting non-profit organizations start-up, sustain and build ongoing capacity. Steve also provides strategic planning consultation to clients where needed. In his event planning experience, Steve has produced 18 live musical shows and other fundraising events for non-profits in Lincoln County, Otero County, Santa Fe County and even Lexington, Kentucky. Steve was a founding Board member and Development Director for Help End Abuse for Life (HEAL), was Executive Director of Big Brothers Big Sisters, was Committee Chair of Fundraising and Special Events for the Ruidoso Valley Chamber of Commerce (RVCC) and was a graduate of Leadership Lincoln’s Class 11. Steve is currently actively engaged in a Capital Campaign for the Humane Society of Lincoln County, where he also leads membership programs and other development initiatives to support that Lincoln County non-profit. Steve has a Bachelor's Degree in Humanities - Communications from Drexel University in Philadelphia, Pennsylvania, with a Minor in Marketing. Jane Jordan has more than 40 years experience in community affairs, fund development, strategic planning, nonprofit organization administration, corporate social responsibility, corporate foundation management and consulting to nonprofits, giving her a unique perspective on the process of asking for and receiving charitable contributions. Jane is the founder and principal of Jane Jordan & Associates, Inc. d/b/a PartnersWithNonprofits.Org. Established in 1990, the firm has assisted a variety of clients in raising more than $155 million. The firm provides essential fundraising, capital campaign, strategic and fund development planning, training and organizational management services to nonprofits of all types and sizes, from large healthcare systems to small, all-volunteer, community-based nonprofits. Over 70% of the firm’s client organizations have contracted with PartnersWithNonprofits multiple times. A complete list of clients may be found on the firm’s website. Prior to establishing PartnersWithNonprofits, Jane served as Vice President for Community Affairs for Barnett Bank of Jacksonville (FL), now Bank of America, for 10 years, establishing the bank's corporate foundation and paving the way for the bank to become the leading corporate citizen in Northeast Florida. While at the bank, Jane was instrumental in establishing the Jacksonville Ronald McDonald House; initiating Caring for Kids, a program to turn women on welfare into independent childcare providers; Road Works, original fine art on billboards; and many other bank-driven initiatives to meet community needs. The bank and its CEO, Hugh Jones, received multiple national awards and recognition for leadership in the areas of corporate philanthropy, corporate volunteerism and modeling philanthropic leadership in the community. She also served as Vice President for Development and Director of the Foundation for Healthcare of Baptist Medical Center, Jacksonville, FL. She facilitated the first million dollar gift made to the hospital outside of a capital campaign; she facilitated the founding of the Wolfson Children's Hospital Bass Tournament, now one of the largest in the Southeast; and founded the hospital's first targeted physician giving program, about which she spoke at seminars and workshops throughout the Southeastern United States. Jane is a graduate of the University of Florida School of Journalism, and completed master's-level work in public relations at Syracuse University Newhouse College of Journalism. She conducts numerous seminars and workshops on fundraising, board development, and strategic and fund development planning. Stephanie Arcella is a New York area Associate for Lawson Associates, Inc. She has eight years experience in nonprofit work, including fundraising, program management, and volunteer coordination. She has worked for a variety of social causes including child care, community development, and women’s rights. Stephanie’s fundraising experience includes grant writing and tracking, prospecting, developing annual appeals; coordinating large and small fundraising events; managing donor relations; and developing long-term strategies for organizational growth. Stephanie is a graduate of Penn State University and is currently pursuing a Master’s in Social Work at Fordham University. Betsy Freedman has been associated with Lawson Associates, Inc. as an Associate for over 10 years. In that capacity she has been involved in numerous fund raising audits, and fund raising campaigns ranging in scope from colleges and universities, religious organizations, international organizations and the arts. In addition to her fund raising expertise Betsy has had extensive experience in all phases of Office Administration and Human Resources. She has successfully assisted clients in the establishment and/or reconstruction of campaign offices. Betsy also consults with many businesses and nonprofit organizations to assist them with the establishment of office procedures, policies and organizational skills. She also conducts seminars in the area of Human Resources teaching interviewing skills to volunteers and board members. Betsy is a graduate of Endicott College. She is also a past president (local chapter) of the National Council of Jewish Women and a member of several community service organizations in the New York City area. Bob Hopkins has been a fund raising executive of non profit organizations since the early 80’s. His first professional employer was with the National Council on Alcoholism in Kansas City. He knew very quickly that working with nonprofits was his calling. Since then Bob has dedicated his life to serving as a professional in the nonprofit arena. Bob has been an active and contributing leader of the National Society of Fund Raising Executives, now the Association of Fund Raising Professionals. Bob was a volunteer before that. As a hospital administrator in the 70’s, he personally raised money for indigent patients who had special needs in Kansas City. Since a child, however, Bob had the good fortune of having parents who were community servants. He believes that GIVING is a learned behavior and Bob had great role models. He has powerful memories of his mother and father volunteering for organizations in Garden City, Kansas, his childhood home. Bob came to Texas in 1984 to work as the Director of Development at the Shelton School in Dallas, a school for children with “learning differences”, such as dyslexia and ADD. One of the most significant contributions prior to the PAVE program and the development of Philanthropy In Texas and Philanthropy World magazines, was the development of an International Camp for children with NF. Children from all over the world come to Texas for a week to be “just who they are”, without jeers from the outside world. There, children develop a better understanding of their disease and coping skills. The camp continues each summer and is in its 15th year. Bob also began the PAVE program, Philanthropy And Volunteerism in Education, in 1997 because Bob was frustrated that those serving on Boards of Directors for nonprofits did not have proper training to be a Board member and no understanding of the workings of a nonprofit, thus the large number of nonprofits that do not succeed. Seminars for donors and volunteers is a partial answer. A more complete, sensible answer is to introduce community service in the educational curriculum to kids when they are young. It will become a life long part of their positive development. (We believe that community service can bring peace to the world.) Bob has developed courses in Dallas, Carrolton, Texas, Kansas City and Fort Worth. The biggest satisfactions Bob receives from doing his work is to instill the realization in everyone that “they too can make a difference”. Bob teaches that a philanthropist is “one who wakes up every morning wanting to know how they can help someone else. Philanthropy is so much more than just “giving money”. In the spring of 2007 Bob received the Hero of Humanity Award at the Kennedy Center in D.C. from the Art of Living Foundation, for the development and execution of the PAVE program. A true honor he shares with Lynn Vogt CFRE, who wrote the curriculum. Bob sits on boards of directors and volunteers his time with his personal favorite causes, such as the Swiss Avenue Historic District Tour of Homes, Dallas Summer Musicals, Booker T. Washington School for the Performing and Visual Arts and the Association of Fund Raising Professionals. Bob has a bachelors and masters degrees from Kansas University and Kansas State University, respectively. Bob received his certification as a professional fund raising executive from the National Society of Fund Raising Executives, and serves as a faculty member of the Fund Raising School at the University of Indiana School on Philanthropy in Indianapolis.